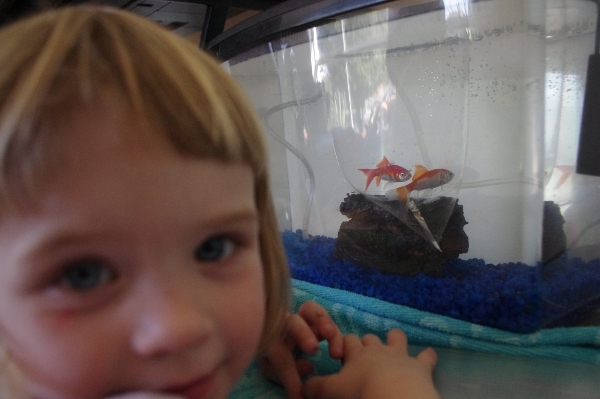 This entry was posted in Family and tagged elspeth, fish, kids, lies, parenting, toddlers. Uh, bad news. Lying is built into the human brain architecture. You aren’t going to raise a child that never lies any more than you’re going to raise a child that never experiences anger. Your goal should not be to universally stamp out lying, but to engender consideration of the potential consequences of actions, including lying. It’s all a part of early childhood development. It’s actually a sign of her intelligence as she figures out how to interact in human relationships. It’s very normal. I suppose the key is how you deal with it and what you teach her about honesty that matters. I dread the day my son learns to fib! I just hope I’ll do a good enough job of teaching him the value of honesty and integrity.